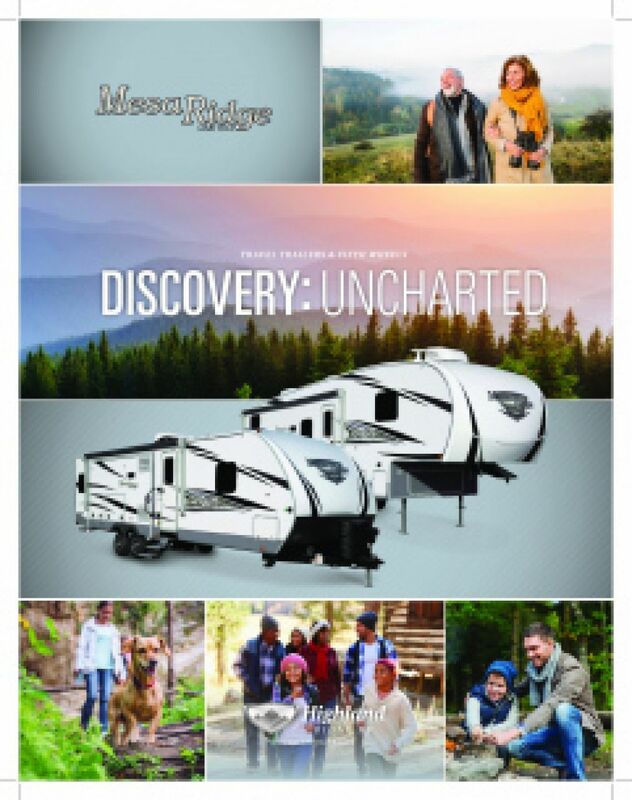 Travel the world in comfort and style with the 2019 Highland Ridge Mesa Ridge Limited MR275RLS Travel Trailer! Want it at an unbelievably low price? Then head over to National RV Detroit in Belleville, Michigan and talk to us today! We're one of the top full-service dealerships in Michigan - and the country - thanks to our unbeatable wholesale prices and huge selection of all the top RV brands! Come in and let our friendly, knowledgeable staff help you find your dream RV at a dream price! It's fast, easy, and affordable, and you'll be on the road before you know it, making wonderful family memories and enjoying great family fun! And with our fast, reliable 24/7 delivery anywhere in North America, no matter where you live, your dream RV will be at your door before you know it! Call us at 734-439-3400! You'll save $1000s and be ready to roll in no time! The fun is just waiting for you! With a hitch weight of 880 lbs. and a GVWR of 8995 lbs, the Highland Ridge Mesa Ridge Limited MR275RLS is easy to tow and go! The 20' 0" patio awning provides shade and UV protection during outdoor living! A family of 6 can sleep comfortably inside this Travel Trailer! Everyone will be cozy and peaceful, especially in the roomy and private bedroom with its Queen bed! You'll wake refreshed and ready to go! There is a kitchen in this RV that's fully stocked with modern cooking appliances, so you can enjoy healthy, hearty meals at any time! You can store all of your fresh produce, meats, and drinks in the 8.00 cu. ft. refrigerator! If you want a hot, sizzling meal for dinner, whip something up on the 3 burner range cooktop! Before you leave home, make sure to fill up the 51 gallon freshwater tank for an abundance of clean water on the trip! The one great challenge with camping and long distance trips is the bathroom issue. Public restrooms and communal bathrooms are, more often than not, unclean and uncomfortable. 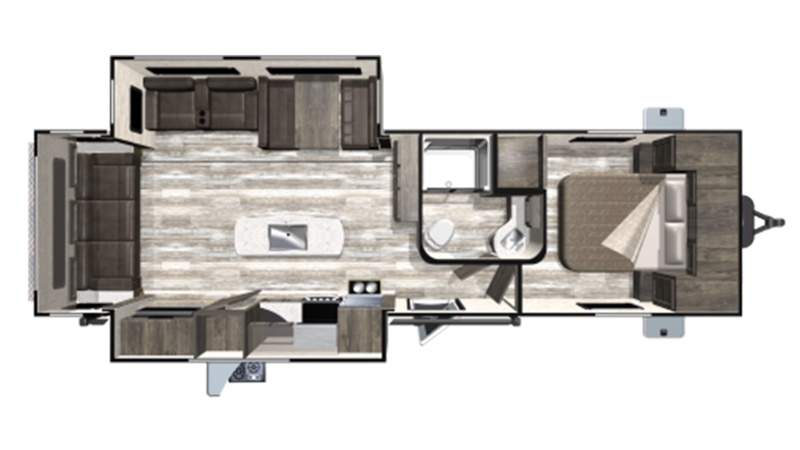 That problem is a thing of the past with this RV, as it features a full bathroom with a shower and a Porcelain Foot Flush toilet! 60 lbs. of LP tank capacity provides lots of hot water, and there is a 58 gallon gray water tank and a 29 gallon black water tank!